Wire wrapping a fully drilled bead with a headpin is a simple wire wrapping technique that will allow you to create a wide variety of jewellery designs. 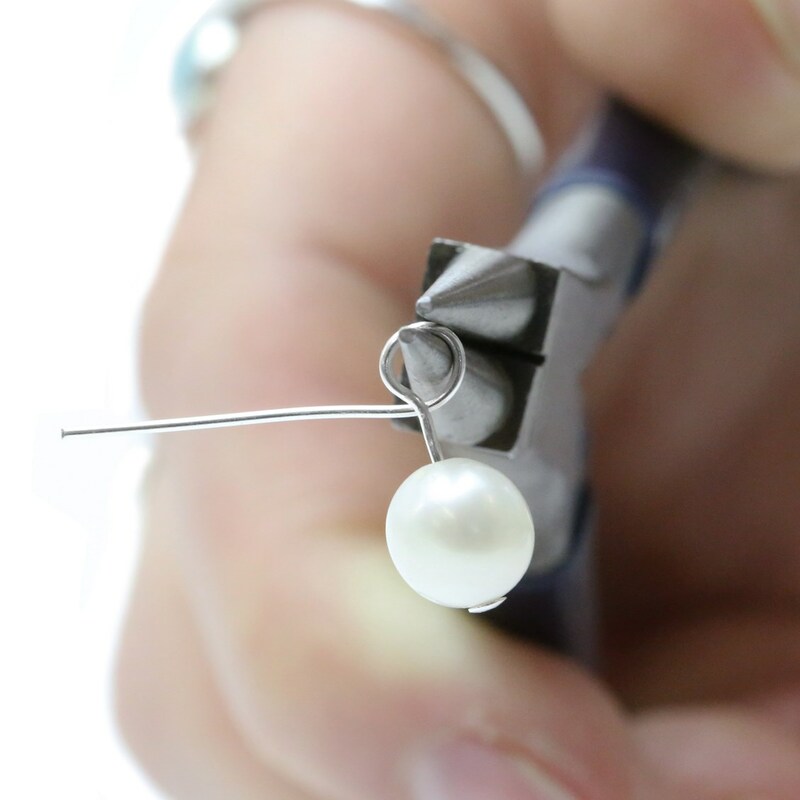 On this page we share step by step instructions on how to wire wrap a bead with a headpin. 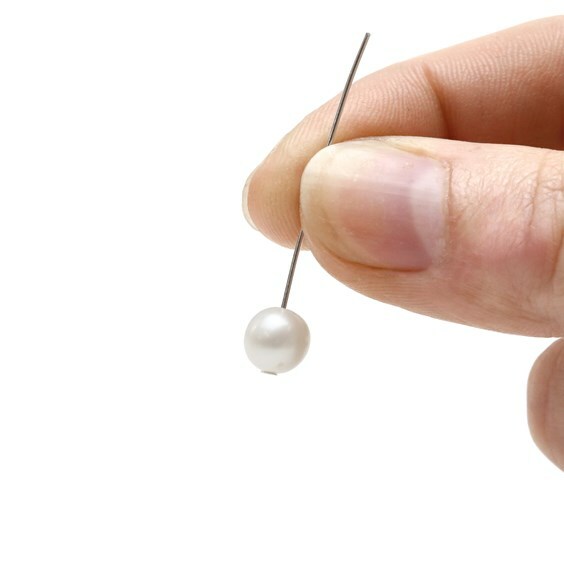 Thread your bead onto the headpin so that it sits on the head. 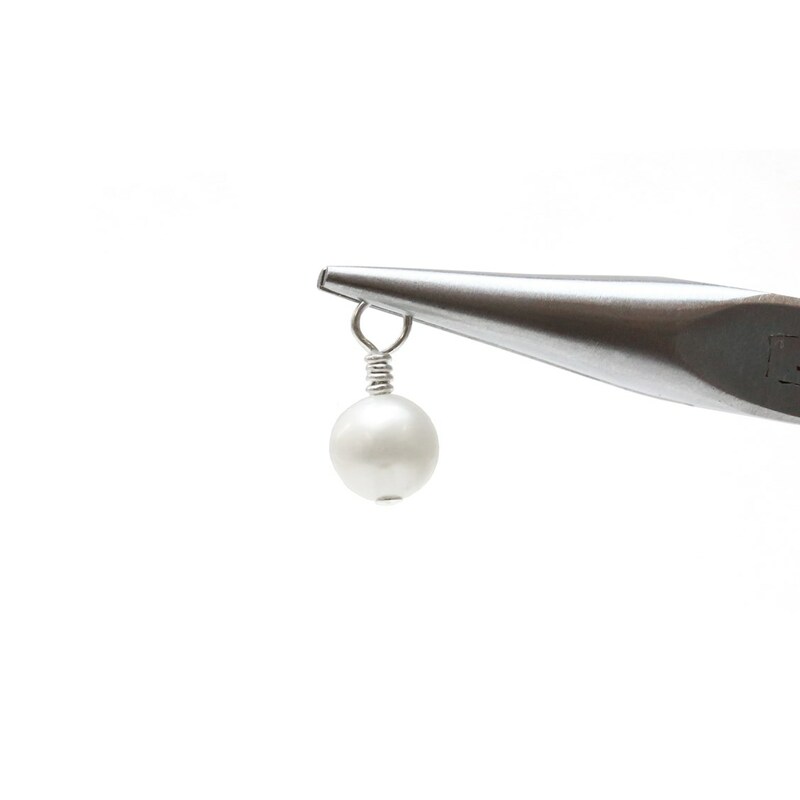 Create a loop with the headpin by wrapping it around the tip of round nose pliers. Use snipe nose pliers or flat nose pliers to held the loop flat whilst you wrap the remaining headpin wire around on its self and down towards the bead. You can use round nose pliers or your hands to do this. Wrap the headpin until there is no excess remaining - if you can not do this before the bead starts you can trim it off with side cutters. For a neat finish use snipe nose pliers to squeeze the end of headpin close into the coil. 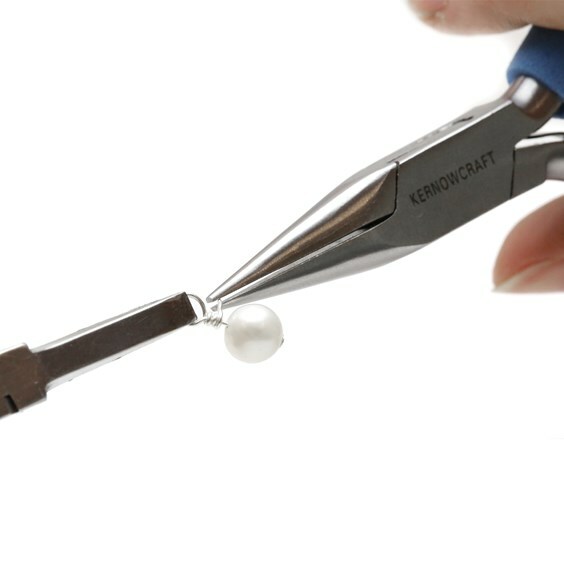 Your bead is now finished and ready to incorporate into a whole array of jewellery designs!